I have always been a fan of Ella's kitchen and I have been lucky enough to work with them in the past. This lovely company are forever expanding and have recently introduced a new product to their range, 'Yummy Yoghurts Greek Style'. I was lucky enough to be sent one of each of the new flavours for me Layla to try and some goodies to help us get into the Greek spirit of things. 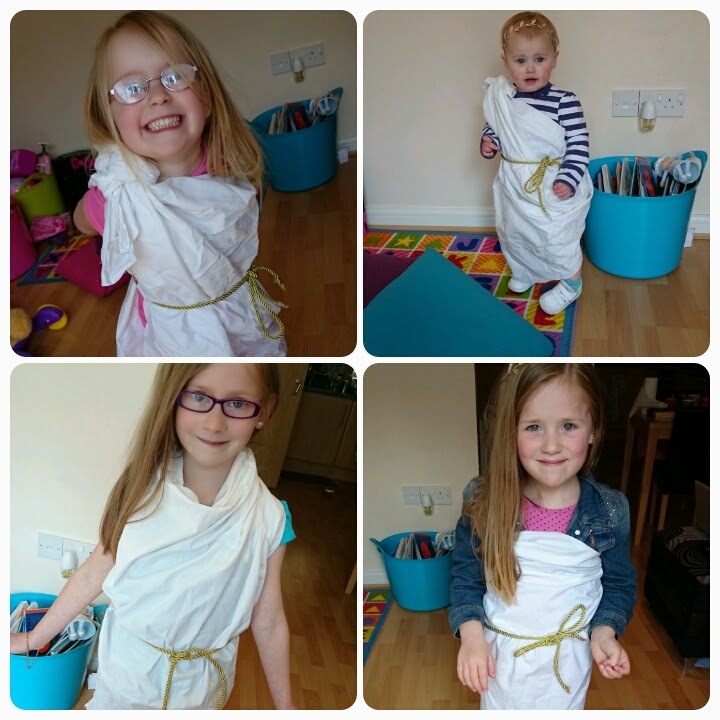 My girls are huge fans of dressing up and couldn't wait to be made into tiny titans. 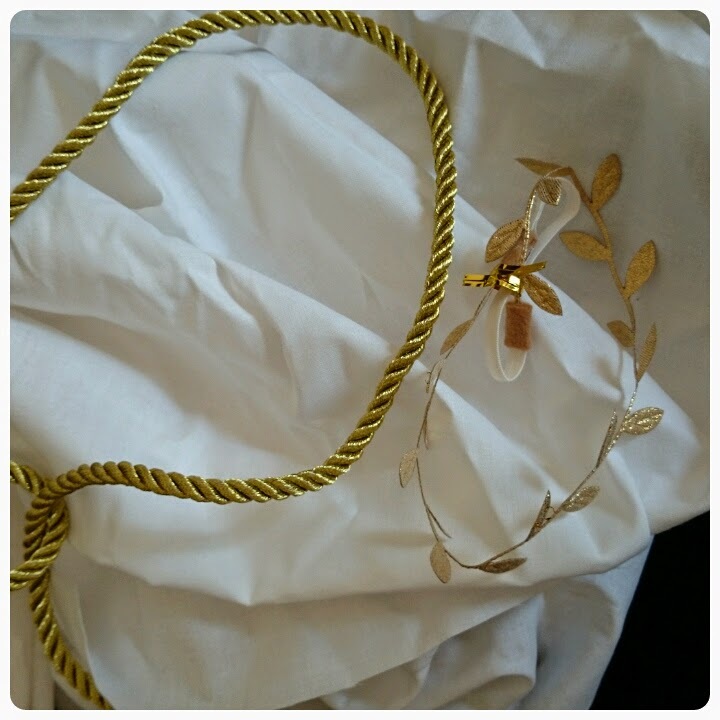 We were provided with a sheet, a golden rope and a wreath, all we needed to do was get a little creative. Once all the fun of being made into mini Greeks was over it was on to the taste testing. 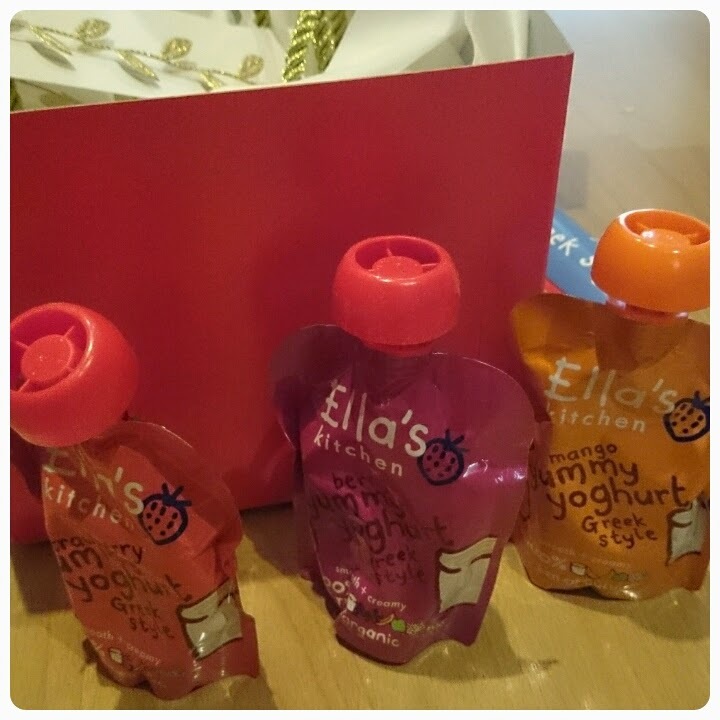 The yoghurts are available in Mango, Berry and Strawberry and come in Ella's Kitchen trademark squeezy pouches. With a resealable lid, these yoghurts are perfect for when you are on the go and a bonus is that they don't need to be refrigerated. Bursting with fruity goodness, I can confirm that these yoghurts are truly delicious, lovely and creamy but not too thick. Layla was able to squeeze out the yoghurt with ease and it didn't take long for the pouch to be emptied. She had great fun popping the lid on and off. Suitable for little ones from 6 months+ they are ideal for all occasions, lunch time, a perfect size to fit into their lunch boxes, snack time, healthy yet still seeming like a treat and when out and about, easy to have in your changing bag just incase your little explorers need re-energising. Disclaimer : I was sent these yoghurts free of charge for reviewing purposes however all thoughts and opinions are my own. Great review, lots of fun! 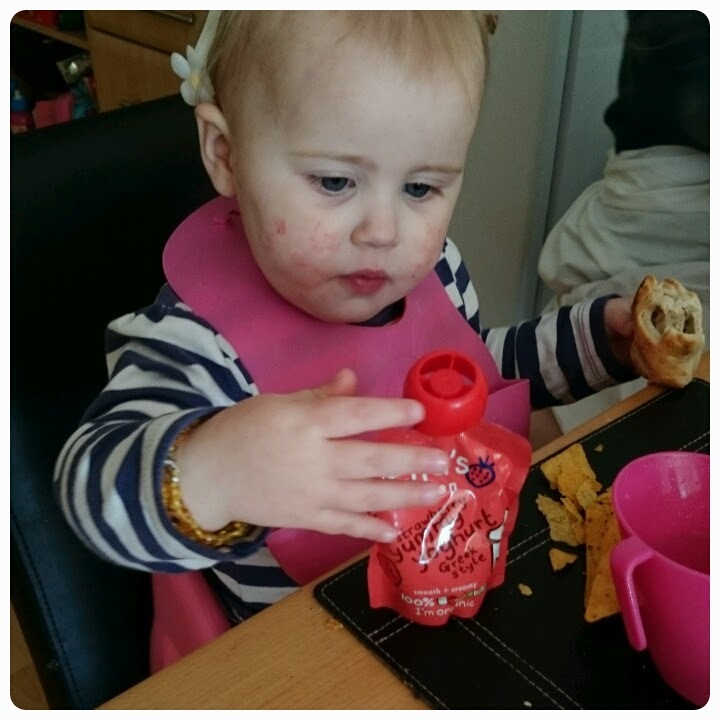 I've always been a fan of Ella's Kitchen - I remember being amazed at how much the range hand expanded between weaning Ben and Chloe - I'm sure when I start to explore it again soon it will be huge! We love Ella's Kitchen so we'll definitely be giving these a try.